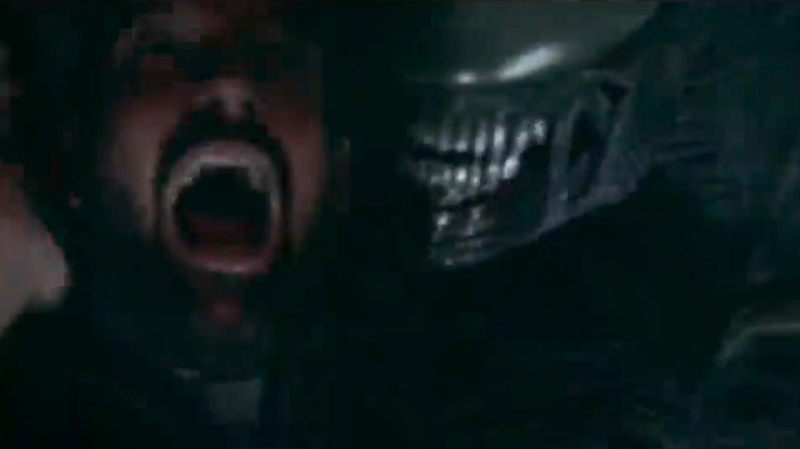 ICYMI: 40th Anniversary of 'Alien' Offers Fans 6 Terrifying 'Alien'-Inspired Shorts! In 1979, Alien released in theaters, starring Sigourney Weaver as a badass protagonist who goes toe-to-toe with the infamous double-mouthed creature, and literally shocked the world. This B-movie defied the odds and became an iconic piece of horror cinema. The film inevitably became a franchise which has gone on to gain a massive following through its sequels, prequels, comic books, and video games. The compelling story of the Alien saga continues to grow 4 decades later and shows little signs of slowing down. Now, in honor of its 40th anniversary, a new group of storytellers has been brought in to bring fans some new terrifying tales of alien horror. They have the skills, passion, and an unprecedented level of access to the property. So everyone that is loyal to the Xenomorph Queen can celebrate this epic milestone with 6 brand new short films. Instead of going with seasoned Alien filmmakers like Ridley Scott or James Cameron, the thinking for the big 4-0 was to get a new set of minds into the mix. Fox’s desire for a fresh take on the Xenomorph mythology lead them to the platform for creators known as Tongal. This online platform connects brands, studios, and networks with filmmakers to crowdsource new content. Through Tongal, over 550 stories were pitched and 6 were inevitably chosen to bring some unique and innovative tales to expand on the Alien brand. A selection of the new material was screened March 15 at Emerald City Comic-Con in Seattle with additional screenings on March 23 at C2E2 in Chicago and on March 30 at WonderCon in Anaheim. IGN will be releasing the shorts online starting March 29, and then on May 5 they will be available on AlienUniverse.com and on @Alien Anthology social channels. Along with these exciting new short films will be access to never-before-seen behind the scenes footage as well as other exclusives only available on the site. Hope, an abandoned crewmember aboard the derelict chemical hauler Otranto, has spent a year trying to keep her ship and herself alive as both slowly fall apart. After discovering hidden cargo, she risks it all to power up the broken ship in search of human life. It’s the night shift in a colony greenhouse, and Julie, a botanist, does her best to contain suspicious soil samples that have triggered her sensitive lab dog. Despite her best efforts, the lab unexpectedly goes into full shutdown and she is trapped inside. Little does she know, an Alien specimen has escaped the mysterious cargo, and a game of cat and mouse ensues as the creature searches for a host. This all comes at a great time because Alien Day, April 26 (a reference to the planet LV-426 where the face-hugger was found), is right around the corner. Being an Alien fan couldn’t be better right now, as the franchise seems poised for some big changes. The focus has been shifted to Ellen Ripley’s daughter Amanda and her encounters with the Xenomorph in the recent releases of the "Alien: Isolation" digital series released on IGN and the popular Alien: Blackout mobile game that both center on her character. She also has a comic book series called Alien: Resistance that showcases her adventures with the creatures and the Weyland-Yutani Corporation with some great artwork and dark subject matter. And now, 6 new short films can be added to the list of all this franchise has to offer. So much sci-fi/horror greatness for fans to enjoy in the world today. There is no shortage of Alien things to get excited about at this point in time, and when you are this pumped, pretty much everyone can hear you scream--you’ve been warned. These terrifying Alien shorts will be released weekly online via IGN, starting on March 29.